Global Kingdom Ministries | Pray Project | Reinders + Rieder Ltd.
Reinders + Rieder Ltd. assisted Global Kingdom Ministries for almost three years in selecting a site, looking at a variety of buildings to be renovated or green sites to be developed. 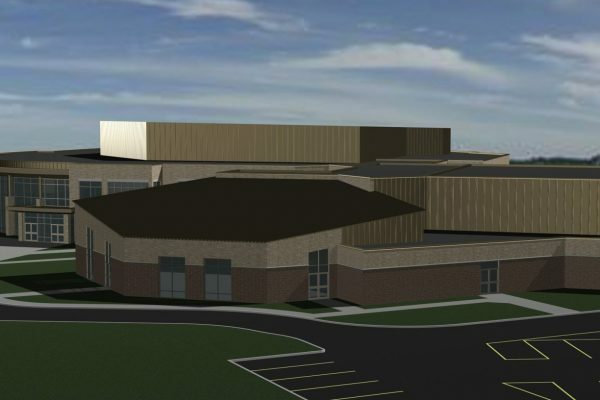 Our final selection was a site on Markham Road overlooking the conservation lands near Progress Avenue. 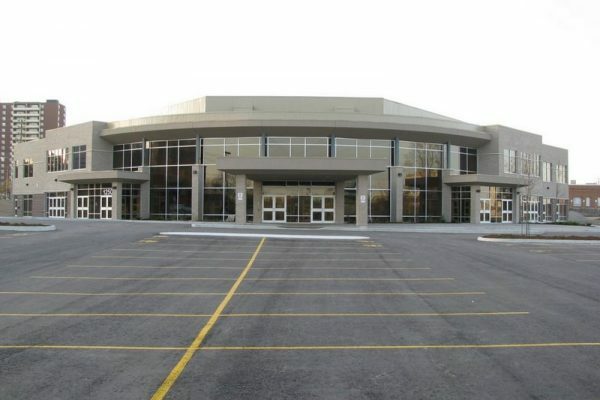 After the site was selected, RRL was retained to provide the design and construction for a new church in this location. 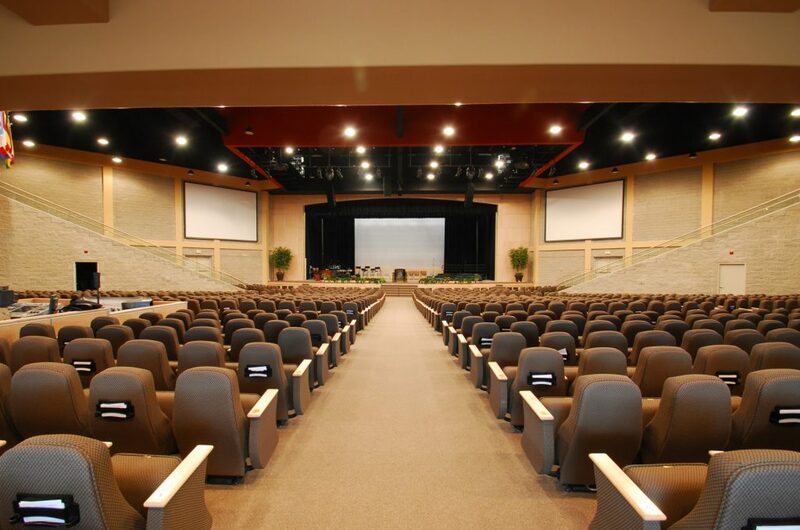 For the new church, a three phase master plan was developed by the RRL team, with a total construction budget over $17 million. 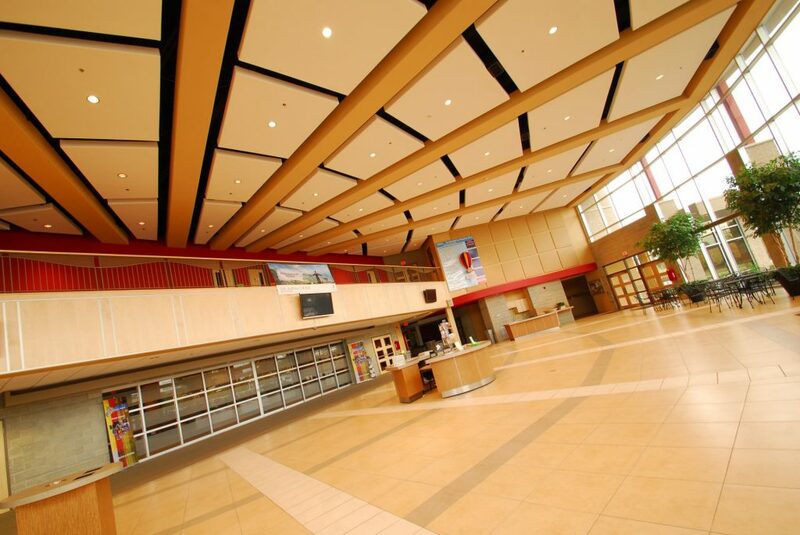 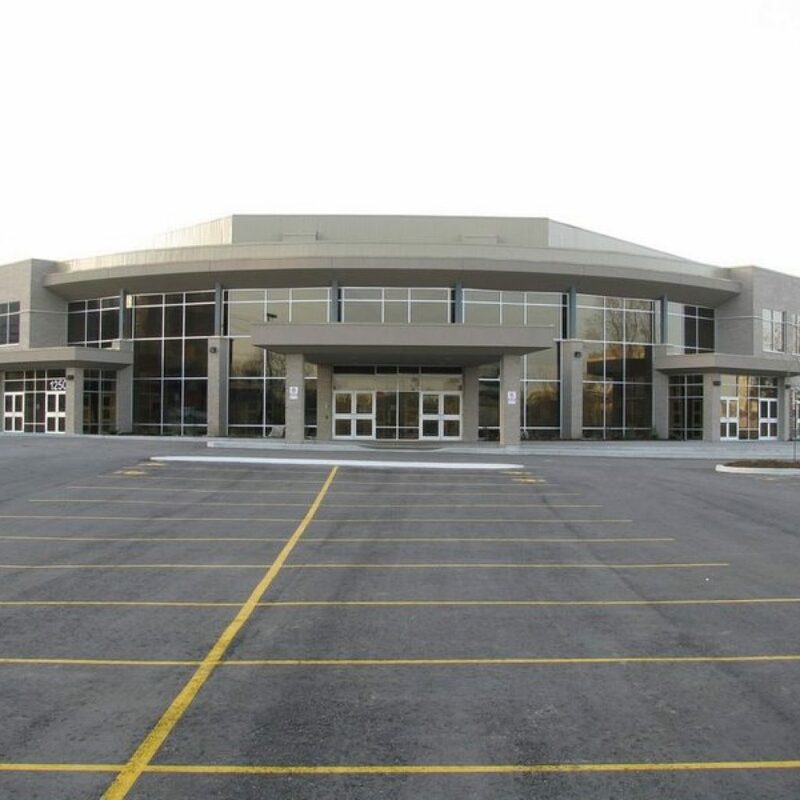 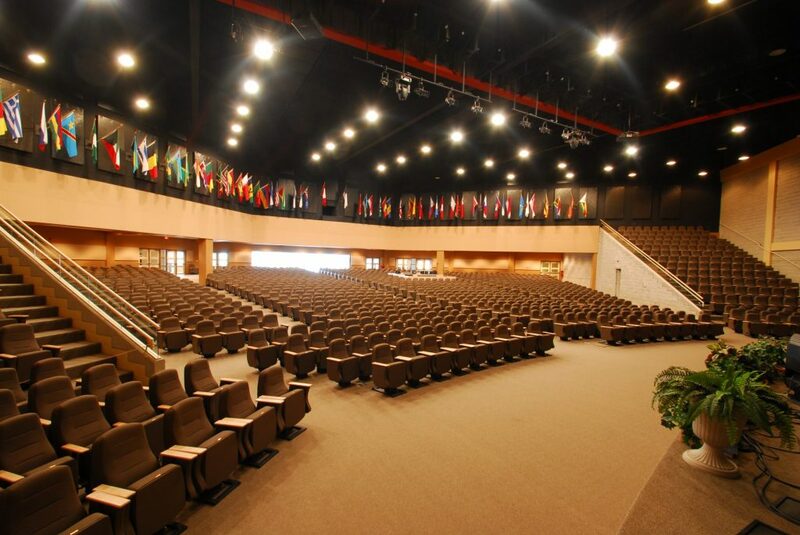 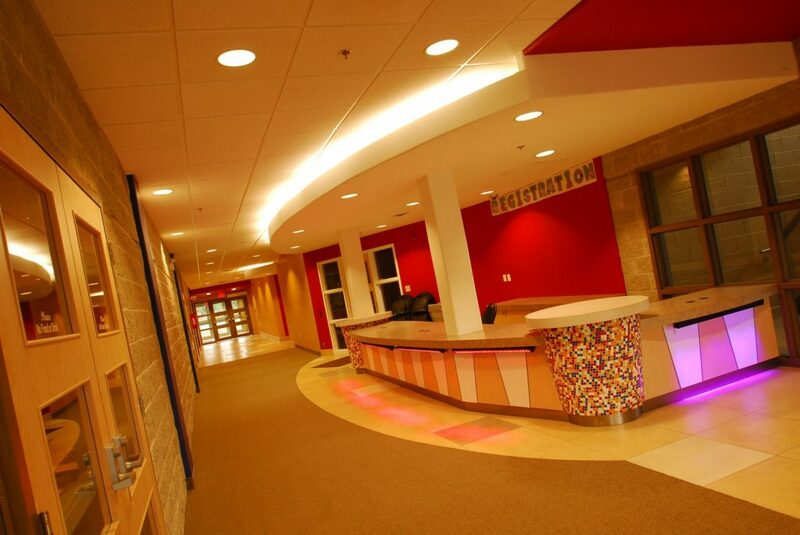 Phase One — A 1,700 seat sanctuary with the main foyer area, two-storey administrative wing, and Christian education wing around it. 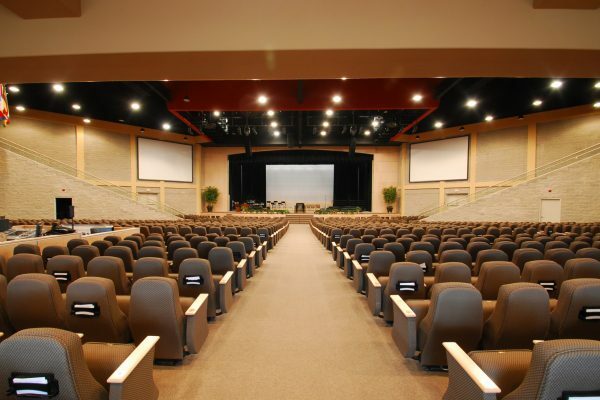 Phase Two — The expansion of the sanctuary area to 2,500 seats by adding a balcony. 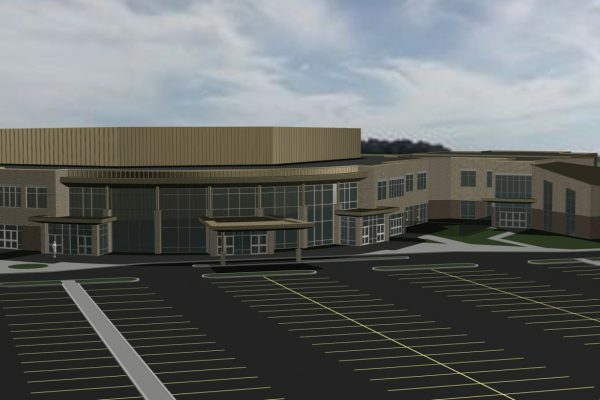 The addition of more space to the Christian education wing to the south of the existing building, a music suite for choir and recording performances, and a hospitality suite for guest pastors or missionaries. 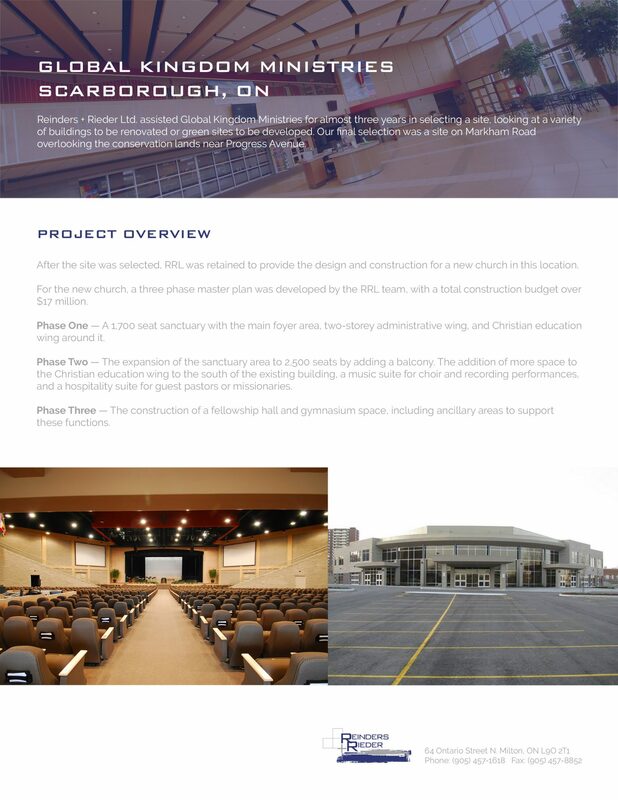 Phase Three — The construction of a fellowship hall and gymnasium space, including ancillary areas to support these functions.